Discussion in 'Online Games - News and Reviews' started by Marina, Feb 15, 2015.
available in land-based casinos. 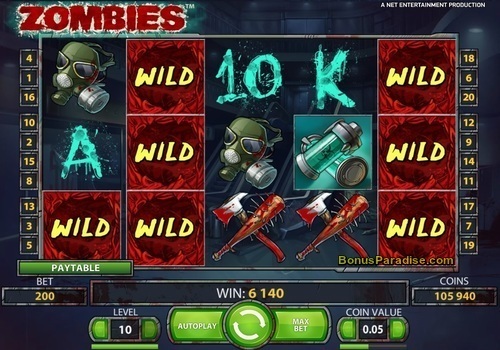 If you’ve caught walker fever, but can’t make it to a brick and mortar casino to play the branded game, here are five frighteningly fun zombie-themed online slots. zombies in a bonus game. 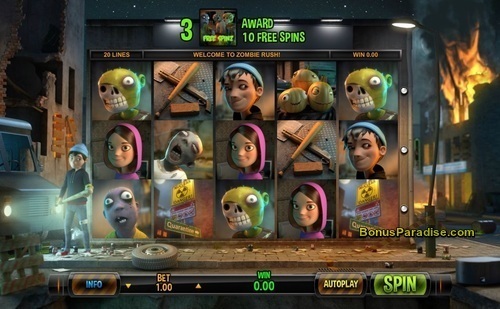 You’ll also find scatters, wilds and multipliers, as well as a smooth gaming experience, like only NetEnt can create. can grab your weapon of choice and battle for a good long time. is just below 95-percent, and it does a fair job of delivering a storyline, which really pulls you into the game. games, such as a detached eyeball, weapons, heroes, and some pieces parts of zombies. There are also wilds, scatters, and a shoot ‘em up-style bonus game. brains out of his top hat. Alice, the once innocent girl retains her blonde locks, but she appears to be prone to violent bursts of rage. The 5-reel, 25-payline video slot plays out more like a real game than a slot. There are multipliers, wilds, scatters, and three totally unique bonus features. The only thing that’s not eerie about the game is its 50,000-coin jackpot. zombie games which remain true to the horror-genre. If you scare easily, though, don’t play any of these in an empty house. Really interesting slots. I think some people will really love them but for me they are a little bit to scary. Ellis and Marina like this. 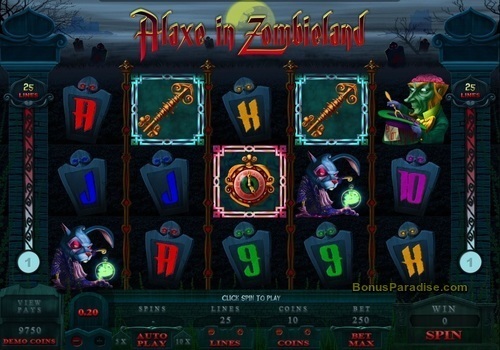 Yeah I also do not like scary slots that much, am also no fan of horror movies but I guess many others are! Great article Marina! I really like the Zombie Rush Online Slot!